Google Keep is the company’s note-taking app and to-do manager that works on nearly every device you throw at it: computer, iPhone, Andriod phone, or tablet. It gets the job done and is quite pleasant to use. If you’re looking for a digital list manager or to-do app, Keep is one to consider. Keep didn’t get the recognition it deserved upon launch and that’s because of the inevitable, yet unfair comparison, to Evernote and Microsoft’s OneNote. I say unfair because it’s not meant to be the all-encompassing tool that other apps clearly are. Instead, Keep is a synching notepad for Google Drive that lets you quickly record notes, photos, voice memos, lists, and the like to Google Drive, all of which are then accessible via the devices I mentioned earlier. And that’s just the start. Notes are color-coded and entirely searchable. That means you can search the entire body of a note, not just its title. Speaking of search, that works on notes you’ve deleted, too. That’s because, much like Gmail, notes aren’t deleted but archived out of sight. If you need information you thought you were done with, you can still find it. Keep is also fast. My yardstick for speed for this type of app is in comparison to pen and paper. While not quite that good, Keep is speedy enough that it will “disappear” as you use it. That is to say, you’re not paying attention to/thinking about the app, you’re just writing down what you need to record. 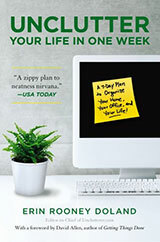 You can set reminders, create labels, and re-arrange notes, so that similar ones — errands, home, shopping, etc. — are right next to each other. After more than a week of playing around with Google Keep, I’ve moved it to my iPhone’s home screen (a coveted position). For its speed, simplicity, and cross-device sync, Keep is a keeper. Is it any better than, say, Simplenote, given that it has to be used as a supplement to, not a replacement for, Evernote or Onenote? I agree Onenote is too cumbersome for quick note-taking, but it’s essential for clipping and larger projects. Simplenote is good for quick jottings. I’m not sure we need an app that falls into the awkward middle between those two poles. Thanks for sharing this tool, David! I hadn’t even heard of it before (and I usually keep up to date with technology pretty well). Sounds a lot like the boring Apple Notes app I usually use, but I like the color-coding and archival features you mentioned. Definitely something to check out. Keep notes are also shareable! It’s great for shared lists, such as shopping lists, group to do lists, etc. Our family uses Keep for a variety of things: gift lists, wish lists, information you need quick access to (e.g. vehicle info, model numbers, friends kids names and ages, etc.). I’ve been using this app for several months now. I think this is the single most useful app I have ever downloaded and use. 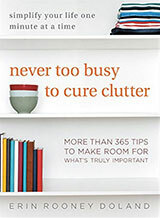 From Christmas wish lists, packing lists, and ongoing grocery lists, to notes and ideas, I use this for everything. I love how simple it was to start using. I love the color coding, the archiving, everything. I just discovered Google Keep while my move away from Evernote to a personal wiki and a note taking app. 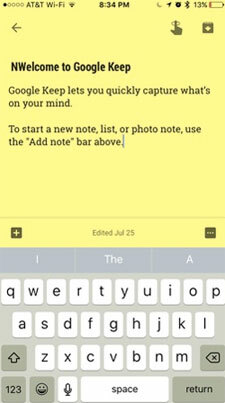 The note taking app is now Google Keep. I like the nix visual cards design and, of course, the speed. Speed is number one requirement for note taking. But a small man is nagging in my brain: Do not relay to much on it, as it might go the same way as Google Reader. That product is used is not an argument for Google to keep it.